What if all of them came true at once? Would you give up? Nobody would fault you for it. It happened to one man in particular. Before he faced those horrors, that man was just another diligent college student from the midwest. While he was at the University of Michigan, World War II began. Soon, he was pulled into the war. He dropped out of college in 1943 and enlisted in the U.S. Army Air Corps (the predecessor to the Air Force). Although he didn’t have his degree, he worked like hell and became an officer. He trained as a meteorologist and got stationed in Alaska. He ignored the standard path of finishing his undergraduate degree, and instead focused on taking advanced graduate courses at Caltech. In those days, prerequisites didn’t keep you trapped. You could take courses and sink or swim. When he left Harvard, he returned to California, and practiced law. For a moment, life was good. He had gotten married at age 21, but now at age 29 with three children, his marriage had cracks. It soon fell apart. Divorce followed, and his wife took almost everything, including the house. Completely broke, the man moved into a small house and purchased an old beat up Pontiac. His daughter sometimes asked why they had to drive such a horrible car. Her father’s answer? That sense of perspective kept him going, and he would need it. A year later, his 9 year old son Teddy developed leukemia. Health insurance and cancer treatments were practically non-existent in those days. The man would take care of his two other children, practice law, visit Teddy at the hospital, and then walk the streets of Pasadena crying. There was nothing he could do, and a year later Teddy died. He didn’t wallow in self-pity or let this crush his ambition. Instead, at 31, broke and heartbroken, he kept going. He began searching for a new wife. Soon, he found her. She had two children from a previous marriage and so did he. The six of them became a family. Life was finally starting to look up. Not for long, though. His father suddenly passed away, so the man went back home to Nebraska to help his family through the tough times. While there, a friend connected him with a quirky midwestern investor. The two of them hit it off and remained in close contact after the man returned to California. Back in California, he left his job to start his own law firm with a focus on real estate. It wasn’t long before he stopped practicing law entirely to focus on investment management. Years went by, and the man’s acumen as an investor grew. His investments were delivering an annual return of over 20% compared to the average market rate of 5%. Ambition was stirring in him, but soon adversity struck again. He faced two years of heavy investment losses… and his instincts told him to fold. He was 50 years old when he folded up his investment partnership. A few years later his cataracts became so bad that he had to get surgery. The surgery left him blind in one eye, and caused complications and a “down-growth” which is similar to cancer. His blind eye throbbed with pain so intense that he “couldn’t stand up.” Desperate to end it, he had the doctor’s remove his entire eye. He went back to investing, this time stepping up his game. He would later go on to join the hospital’s board of directors, invest in it, and turn it into a thriving and profitable business. His struggles had taught him to be careful, calculated, and forward-thinking. Throughout this time, he built up a friendship with the quirky midwesterner investor he had met back in Nebraska. By this time, the man had developed such an aptitude for investing that he became that quirky investor’s investment advisor! They started co-investing together, and joined forces under a little holding company called Berkshire Hathaway. That man was Charlie Munger, and his quirky investor friend was Warren Buffett. Two of the most diligent learning machines on the planet. Today, Berkshire Hathaway has annual revenue of over $200 billion, and Charlie and his quirky friend, Warren Buffet, are two of the richest men in the world. 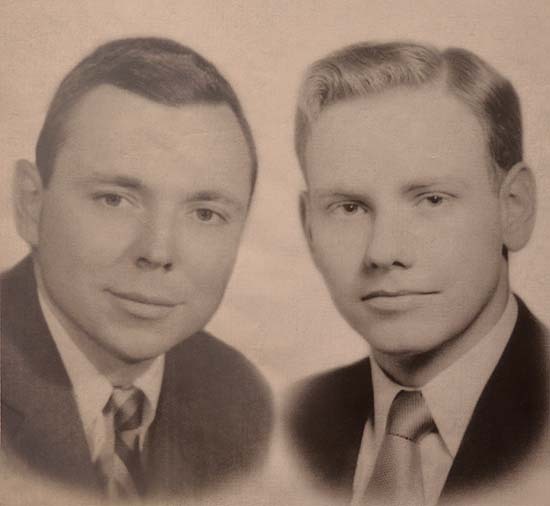 Charlie Munger went through his own personal hell before he turned his life around. Charles was a student, family man, soldier, meteorologist, lawyer, business owner, and an investment advisor before he found his way to Buffett and Berkshire Hathaway. Excuses are always waiting. Self pity, doubt, and tragedy all lurk. At any point, he could have succumbed to them, but he didn’t. He could have become spiteful, but instead squeezed every ounce of learning out of his adversities. Charlie Munger forced those events to serve him, and not the other way around. Our lives and the world will become hellish sometimes. There is always a way up and out. If you are persistent enough and refuse to quit, you will find it. < Previous Can S&P 500 make a new high today? Next > When someone makes money in the stock market, must someone else be losing money?